Out-of-the-box ES 2015 support - leverage all the goodness that ES6/ES2015 offers. 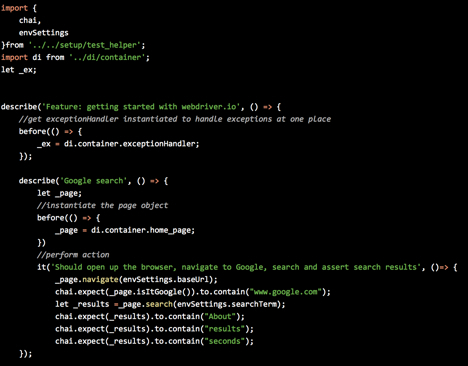 Out-of-the-box promises support - This framework uses Q.js internally, and every single command represents a promise. The second command will be executed only after the first command promise is resolved. These advantages help organizations focus on their core responsibility — to automate their verification process quickly instead of developing and maintaining custom libraries to support automation efforts (more productivity — we all love it). The UI map is used to hide HTML implementations from consuming Page Objects for easier maintenance. 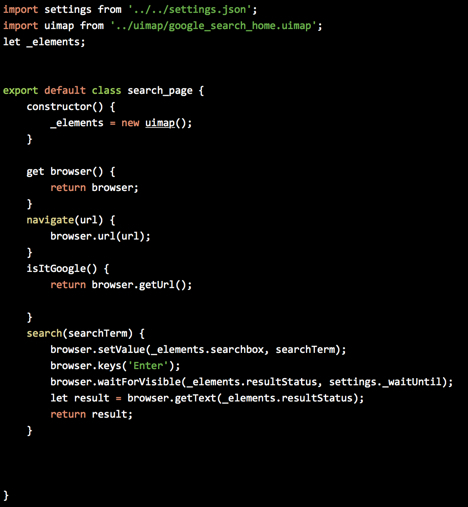 Since webdriver.io supports ES 2015, we are using the class and getter method to access the elements. Page Object allows APIs to perform actions on the page, and provides access to the current state of the underlying page. 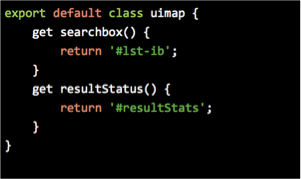 In the implementation below, we import the UI map and expose the actions (APIs) for the test. 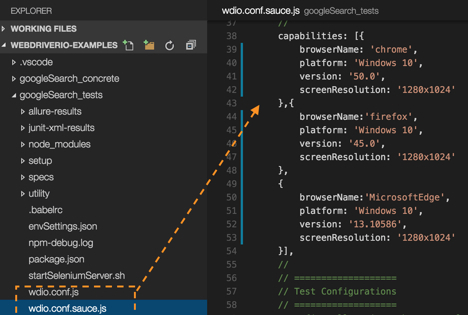 In this example, we use Mocha (TDD style) for defining the tests, and Chai for assertions. 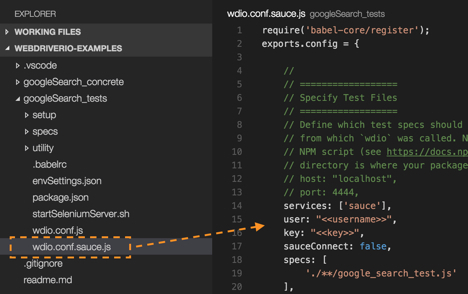 Import the Page Object (using a little dependency injection here) and calling those APIs to Navigate to Google and Search for an item.